Join me on September 22 and 27 for Creating Cuties for the Cure! We will be playing paper dolls all day in 1/2 hour sessions. 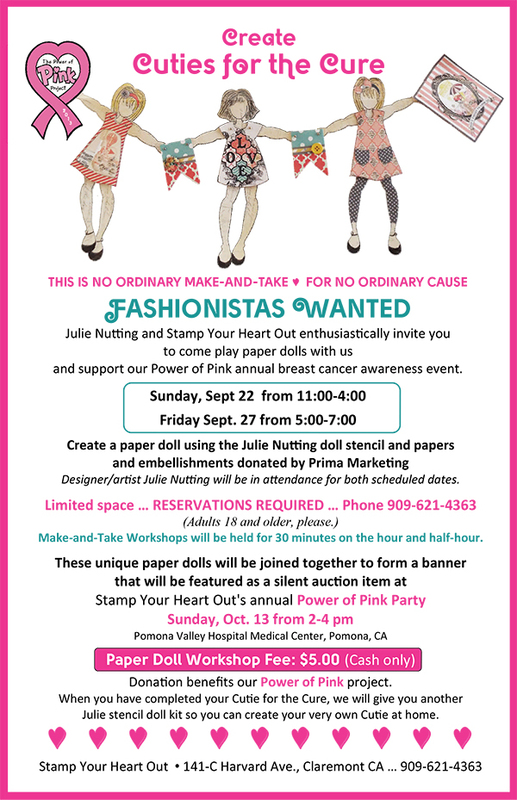 For a donation of just$5.00 you will make a paper doll to be part of a very long banner and receive a kit to take home and make a doll for yourself. I am excited to be a part of this very special event that Stamp your Heart Out puts on every year for breast cancer patients and survivors. Make your reservation today and become a part of it! I love this event you are participating in...just too far away in Claremont. "Cuties for the Cure"!! !